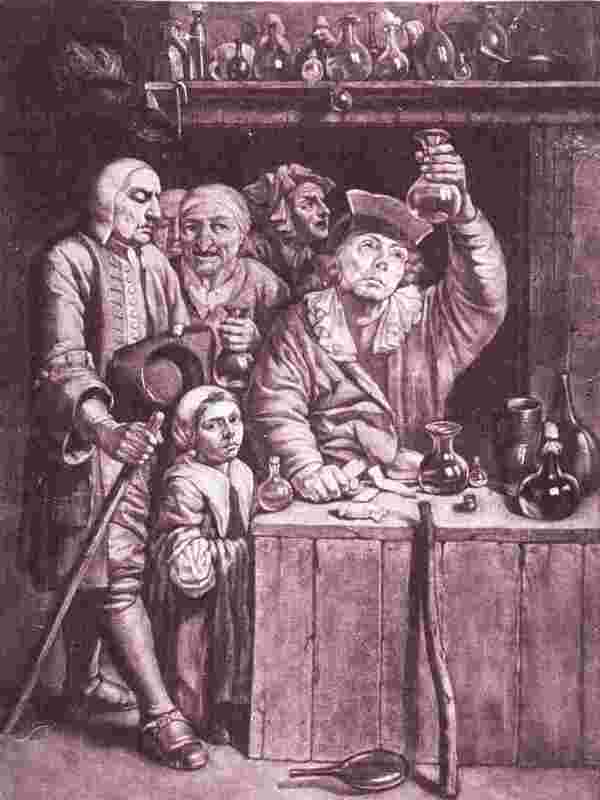 Finding medical practitioners in early-modern Britain. History has been likened to dropping a bucket over the side of a ship, attached to a long chain. What comes up is a microcosm of life deep below the waves. So it is with an historical source. It offers a tiny little glimpse – a snapshot in time – of one particular event, or one person. On its own, though, it doesn’t give us a full picture. It is a frustrating fact but many people, in fact the majority of people, left little or no trace in the historical record. Even when one or two documents survive, it is often difficult to get much more than bare facts. Does this mean, though, that we shouldn’t bother even trying to piece together the lives of people in the past? How are these people being located? The majority of my work is done in archives and on online catalogues. At the moment it is the sheer number of practitioners coming to light that is most surprising. They were, quite literally, everywhere. The problem lies in the deficiency of records and their limitations in offering much more than a glimpse of an individual’s life. Parish registers, for example, are often the only record that someone ever existed. In some cases, they might contain occupational data, and this begins to give some context. The Montgomeryshire parish registers are a useful case in point, with around 60 references to medical practitioners between the dates noted above. Amongst the Montgomeryshire names are men like Arthur Jones of Berriew, a barber who died in 1697, Richard Evans of Brithdir “Physition” who died in 1701 and John Humphreys of Llanfechain, “chirurgeon” who died in 1660. Given that occupational data in parish registers is relatively rare, it seems fair to assume that recorded occupations suggest that these were the primary occupations of the people concerned. In each case, however, these are the only references to each man that I can find. No further evidence of their practice, their social status or indeed their lives, can be firmly established. At the very least though, and when aggregated, even this bare data does begin to allow us to see something of the landscape of medical practice in a given area. In Montgomeryshire, for example, is a rare reference to the occupation of midwife – one Catherine Edward of Glynceiriog, who died and was buried in April 1688. Midwives seldom appear in the historical record in Wales, so even brief references are interesting. In other cases, though, it is possible to build up a broader picture of an individual practitioner’s life. The baptisms of children give both an indication of family formation as well as placing a person within a given area for a fixed number of years. Richard Ellis, for example, was a barber in Newtown, now in Powys. No record can be found for his birth or death, but the baptisms of his children William, Sarah and George between 1732 and 1737, in each of which he was referred to as a barber, tell us that he was at least practising between those dates. Also, it might be inferred (although by no means certain) that this was at the earlier end of his career given that children tended to be associated with marriage and the establishment of a household. The Newtown apothecary Thomas Kitchen provides a similar example, with the baptisms of his children Edward, Eusebius and Margaret between 1733 and 1737. Whilst we can’t tell anything about his business from this, we can at least fix him both geographically and temporally. Other types of sources can unwittingly provide testimony to the businesses and social networks of medical practitioners. Wills and probate inventories can certainly be revealing about shop contents but, by looking further at things like the names of benefactors and even the signatories to wills it is possible to discern networks. In early-modern Wrexham, for example, a cluster of seventeenth-century wills reveal close links between practitioners in the same town, suggested by debts but also by their acting as executors or appraisers for colleagues. In some cases, for example that of Godfrey Green of Llanbeblig, died 1699, his entire shop and business found its way into the possession of another apothecary, John Reynolds, where it was still described as being the shop goods formerly of Godfrey Green when Reynolds himself died in 1716. The best evidence can often be found where a picture can be built up using a variety of different documents. I’m currently working on an article about medical practitioners in early-modern Cardiff and especially their role within the early modern urban environment. Town records are generally better than for rural areas, but it is interesting to note the depth to which medical practitioners were often involved in town business. 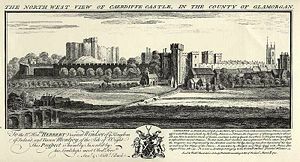 One Edward Want of Cardiff, an “barber-chirurgeon”, appears variously in documents in the second half of the seventeenth century. From parish registers we have his dates of birth and death, as well as the fact that he took over his business from his father of the same name. From hearth tax records we can tell that he was based in the affluent West Street area of the town, while a 1666 town survey further reveals that he was charged 6d half a burgage in that area – the small plot probably indicating a shop. At some point he had occupied a mansion house near the corn market, a fact attested to by a land lease document, further suggesting wealth and status. References in the wills of two other Cardiff traders indeed refer to him as an Alderman, and Cardiff borough records also list him as a juror. We can also tell that his son Sierra Want was apprenticed to a Bristol barber surgeon, a common practice for the sons of middling-sort South Walians. Whilst his will contains nothing of his medical practice, the use of a variety of documents can help us build up a real picture of the commercial and personal life of Edward Want. In pulling the bucket up from the depths it is often difficult to glean much more than the barest facts; we often need more to really start to close in on the lives of our early-modern forebears. With practice, a little ingenuity and a great deal of luck though, even the smallest of extra facts help us to piece together a picture not just of how many people were practising medicine in Britain, and perhaps especially in rural Britain where records are fewer, but also something of their lives, occupations and statuses within their communities. It is 1942. As in cities across Britain, the people of Cardiff are suffering from repeated nightly attacks by the Luftwaffe, destroying homes and lives. Perhaps it is the chaos of war, the incomprehension towards a world being turned upside down, and the ever-present sense of death and loss, that attracts rising numbers of people to attend spiritual churches and private séances, in an attempt to draw comfort from the apparent confirmation of an afterlife, and for the chance to ‘speak’ to loved ones who have ‘passed over’. Perhaps it was for these, or similar reasons, that one Mrs Emily Libby of Cardiff attended a private sitting by a man named Austin Hatcher – my great uncle. Uncle Austin had a bit of a reputation in the family, it’s fair to say. His marriage was unconventional not least because of his ‘ladyfriend’, Emily, with whom he seemed to spend much time, seemingly unbeknownst to his wife. Communication with the living was seemingly not his strong point. When, for example, he wanted a cup of tea, he would simply rattle his teacup, and expect Mrs H. to head straight for the kitchen. But Austin was a spiritualist, and a member of a Cardiff church, and ran séances (for which he charged). It was to one of these séances that Emily Libby headed in September 1942, and which led to a criminal case against Austin for “unlawfully using subtle means by pretending to hold communication with deceased spirits to deceive and impose upon certain of his majesty’s subjects”. During the evening’s events, things were certainly happening. The lights were put out and, almost immediately, contact was made with a spirit identified by Austin as a man named ‘Colombo’. But Mrs Libby was suspicious, and became convinced that this was simply the voice of Austin, but in a slightly higher register.The séance went on for around 90 minutes, during which other things began to arouse her suspicion. Quite tellingly, for example, she reported that a “human hand touched her and caught hold of her handbag”. 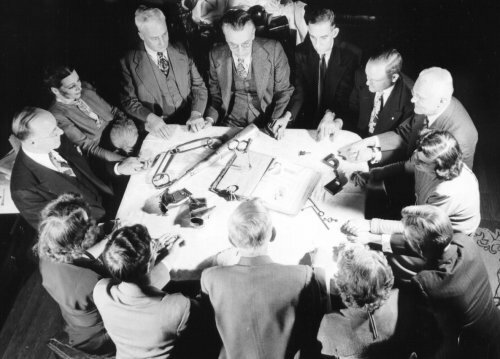 Other voices spoke up throughout the session but Mrs Libby noted that she “knew someone was moving around the séance room in the darkness because luminous objects in the centre of the circle of chairs were continually being blotted out”! Austin, it seems, was none too subtle. Mrs Libby had seen enough to tell her that something was amiss – “I was convinced it was an awful fraud” she later told the South Wales Echo. And so, on September the 27th, she returned to a second session at Austin’s house, this time accompanied by her husband (crucially, and unfortunately for Austin, “Police Constable Libby”) and two female police officers in plain clothes. Once again the spirits were not slow in coming forth. Another attendee at this séance, one Mrs Davies of Penylan, takes up the story. “On one occasion, the “spirit” of a little black girl named “Topsy” appeared to make contact, who “said that another “spirit” named “Will” had given her sixpence because he was going to help her to come through”. Other witnesses came forward, one of whom was PC Libby’s sister, Olive. More spectacularly in this episode, “she saw a luminous trumpet approach her and touch her on the knee. A voice said “it’s for the new lady”. Olive asked “Is it Uncle Tom?” to which a sepulchral voice answered “Yes, Uncle Tom on your father’s side”. Feeling brave Olive asked “How are you Uncle Tom?” at which the voice responded “one hundred percent and no bones broken”! At this point, it was clear that even the judge was beginning to see the funny side. When Olive revealed that she didn’t actually know anyone by the name of “Uncle Tom”, the judge quipped “it might have been Uncle Tom Cobley”. Perhaps it is a complete coincidence, but both “Uncle Tom” and “Topsy” are characters in the novel Uncle Tom’s Cabin. Was Austin cleverly able to manifest literary characters?! Later on, a woman’s voice said “Elizabeth” and “bicycle”, which Hatcher interpreted as being a little girl killed when a car knocked her off her cycle. Again neither Olive nor any of the other attendees knew of any such story. 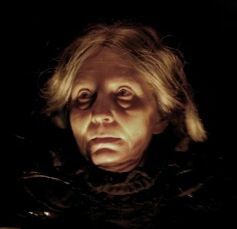 When Austin claimed to manifest the voice of one of the attendees’ dead husband, the witnesses noted the distress caused to her, and the emotion in her voice as she replied. Perhaps the final straw came when Austin told the ladies present not to be afraid “even if the spirits kissed them”. The outcome of the trial is unclear, but Austin certainly didn’t give up either his séance or his unconventional lifestyle. Not having a ‘regular’ job, he and his ‘ladyfriend’ made a good living by travelling around and knocking on doors, asking if people had antiques to sell, for which they offered a pittance and then sold on. Clearly, Uncle Austin was the progenitor of the many ‘cash for gold’ schemes operating today! So how should we view Uncle Austin? A man who believed he had genuine gifts, or a heartless rogue who played on people’s emotions and loss to exploit money from them. I never met Uncle Austin, but I’m guessing that the jury weren’t out for very long.